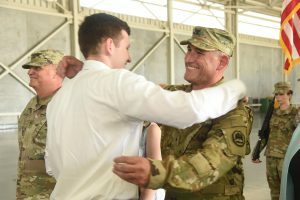 NEW ORLEANS – Louisiana Army National Guardsman Patrick R. Bossetta was promoted to the rank of brigadier general during an official ceremony at the Army Aviation Support Facility #1 in Hammond, July 9. 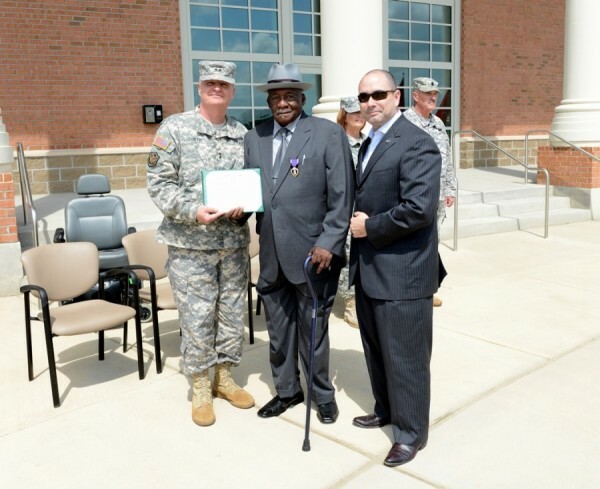 He will become the LANG’s new assistant adjutant general – Army. He is replacing Brig. Gen. Joanne Sheridan, who is slated to be promoted later this month and will assume the position of assistant adjutant general. 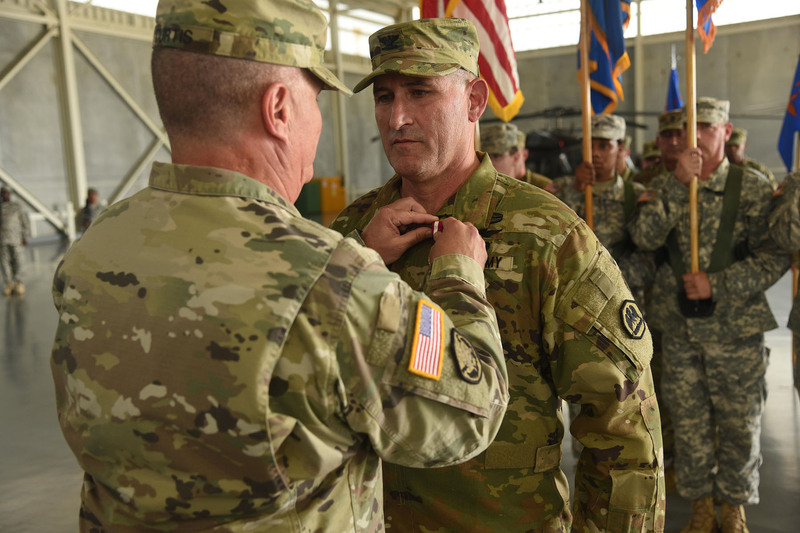 Bossetta, a New Orleans native, will serve as a principal military advisor to the adjutant general of the LANG and be responsible for assisting in the deployment and coordination of programs, policies and plans for the Louisiana Army National Guard. Bossetta commissioned as an officer in the Army in 1988. 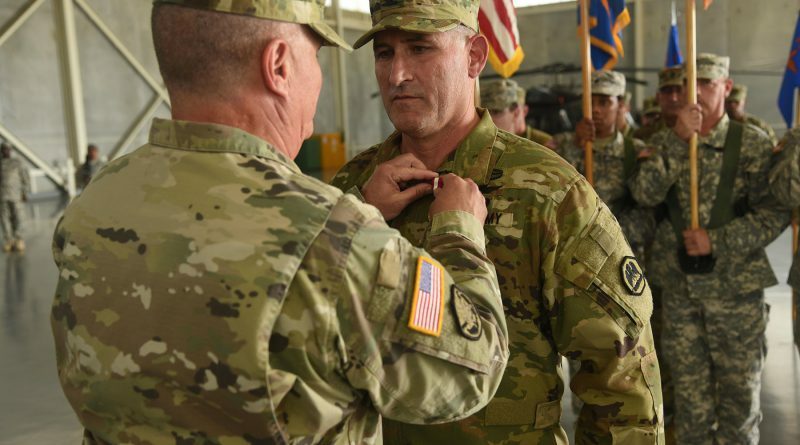 He joined the LANG in 1993 and has deployed with them four times in support of Operation Enduring Freedom and Operation Iraqi Freedom. He has also responded to various state emergencies, most notably Hurricanes Katrina and Rita, the Deepwater Horizon oil spill and the flood in August 2016. He commanded the 1st Assault Helicopter Battalion, 244th Aviation Regiment and Task Force Voodoo during Hurricanes Katrina and Rita. He was responsible for over 80 aircraft and 1,200 personnel who logged over 6,000 accident-free hours of flight while performing life-saving rescues of thousands in the greater New Orleans area. 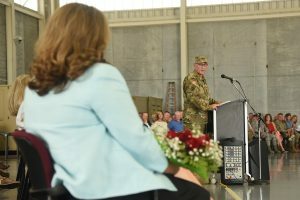 From April 2010 until June 2017, Bossetta commanded the State Aviation Command where he was responsible for the manning, equipping, training and readiness of all LANG aviation forces. He also commanded the 204th Theater Airfield Operations Group from December 2013 until June 2017. Before he was officially promoted, he relinquished command of the two groups to Col. John Plunkett and Lt. Col. John Bonnette, respectively. Bossetta graduated from Louisiana State University with a Bachelor of Science in Accounting and a master’s degree in Taxation. He also graduated with a Juris Doctorate in Civil Law from Loyola University and is a certified public accountant and a member of the Louisiana State Bar Association. 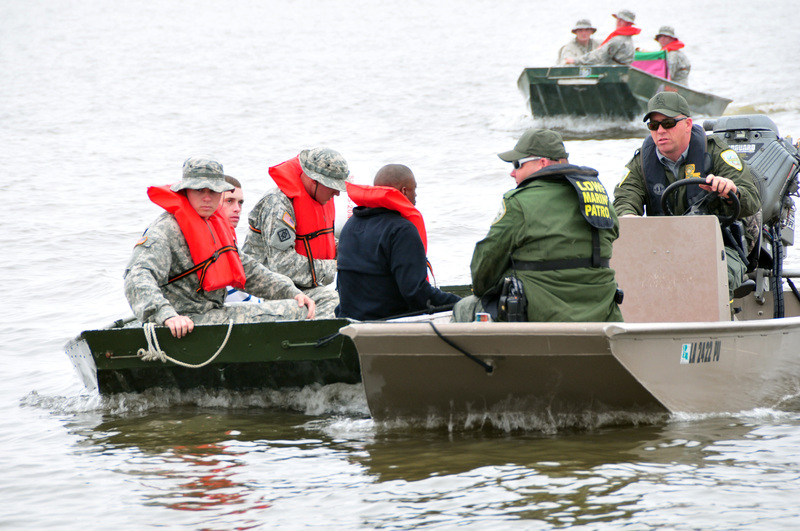 Officer Candidate School at Fort Benning, Georgia and Aviation Officer Basic Course at Fort Rucker, Alabama. He was also the honor graduate of Initial Entry Rotary Wing Course. His awards include the Master Army Aviator Badge, the Army Combat Action Badge, the Army Air Assault Badge, the Valorous Unit Award 1st Assault Helicopter Battalion, 244th Aviation Regiment, the F. Edward Hebert Meritorious Unit Commendation, the Bronze Star with oak leaf cluster, the Meritorious Service Medal with oak leaf cluster, the Air Medal (3), the Army Commendation Medal with two oak leaf clusters and V-Device for Valor, the National Defense Service Medal with second award, the Iraq Campaign Medal with two bronze campaign stars, the Global War on Terrorism Expeditionary Medal, the Global War on Terrorism Service Medal, the Humanitarian Service Medal, the Southwest Asia Service Medal and the Liberation of Kuwait Medal. Bossetta has been married to his wife, Marlene, for 29 years. Together, they have three children; Alexandra, Catherine and Patrick.